After launching the Note 3 Plus earlier this month, Coolpad has now launched its flagship smartphone “Coolpad Max” in India at a price of Rs. 24,999. The device will be exclusively available on Amazon.in from May 30th. It comes with an exclusive “Dual Space” feature that lets you keep your personal and professional lives separate. With Dual Space, users can run two accounts on WhatsApp, Facebook, BBM and other social media apps using the unique BiLogin technology. 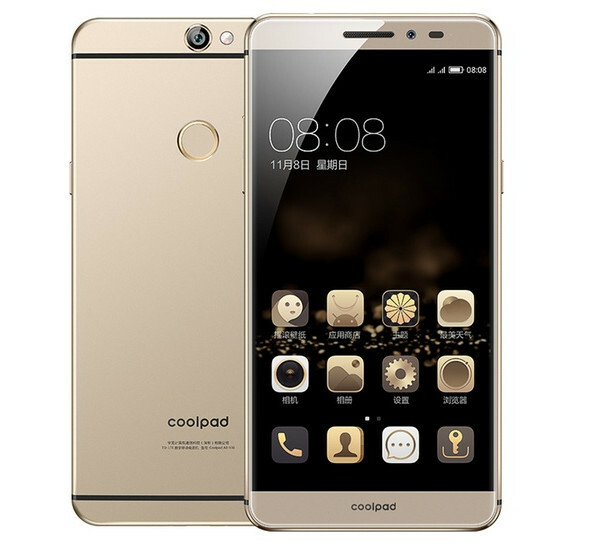 The Coolpad Max sports a full-metal design with a Fingerprint sensor on the back that can be used to directly open specific apps. The front panel is made of 2.5D curved edge glass with Corning Gorilla Glass 4 protection. The handset is 7.6mm in thickness and weighs 170 grams. Coming to the specs, the Coolpad Max packs a 5.5-inch IPS Full HD display @401 ppi with an Anti-fingerprint coating. It is powered by a 1.5GHz Octa-Core Snapdragon 617 processor (MSM8952) with Adreno 405 GPU and runs on Cool UI 8.0 based on Android 5.1 Lollipop. Under the hood, it has 4GB RAM, 64GB of internal storage that can be further expanded via microSD card. The phone comes with a Hybrid Dual SIM slot (accepts micro SIM + nano SIM or microSD). It is equipped with a 2800mAh battery with Qualcomm Quick Charge 3.0 support for faster charging. A 9V 2A fast charger comes within the box. In terms of camera, it has a 13MP rear camera with Samsung ISOCELL 3M2 CMOS sensor, 6P lens, dual-tone LED, f/2.0 aperture and Phase detection autofocus. There is a 5MP camera on the front for selfies. Connectivity options include: Dual-SIM, 4G LTE, Wi-Fi 802.11 b/g/n, Bluetooth 4.0, and GPS. Comes in Gold and Rose Gold colors. The Coolpad Max will be exclusively available on Amazon.in starting May 30th for 24,999 INR.